Welcome to Peachtree Villa situated in the village of Neo Chorio. 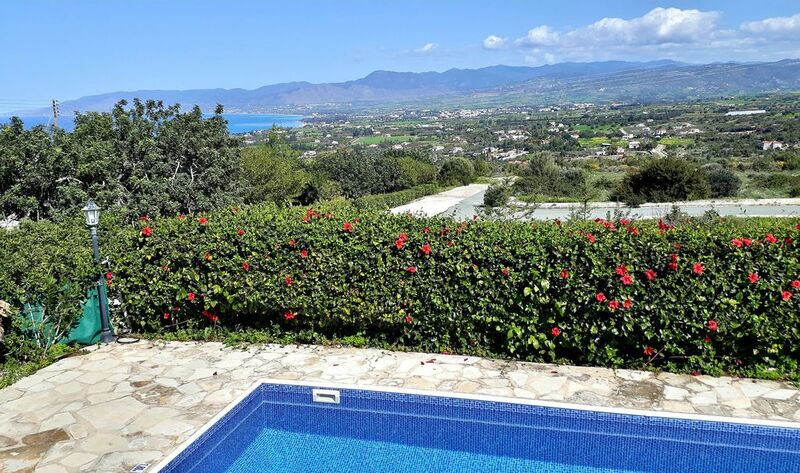 This detached, open plan, 3 bed property sits on the slopes of the beautiful Akamas peninsula and benefits from spectacular views across Chrysochous Bay. Peachtree villa is the perfect place to relax and unwind with its outside terrace overlooking the private pool and sunlounge area. This, complete with a short drive to the popular harbour resort of Latchi, you are perfectly placed for your holiday in the sun! A stunning place which comfortably sleeps 6 people. Private swimming pool and outdoor shower for relaxing, cooling off or simply enjoying the view makes this the perfect location to enjoy your Mediterranean holiday.